We’d love your help. 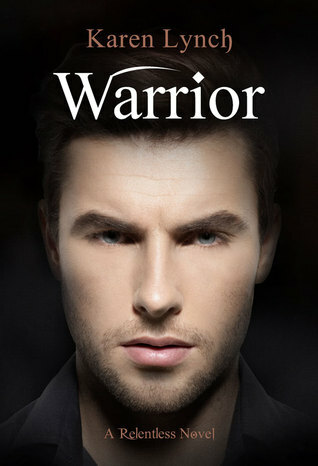 Let us know what’s wrong with this preview of Warrior by Karen Lynch. On a routine j The warrior has finally met his match. To ask other readers questions about Warrior, please sign up. When is this book going to be released? Adnil October 25th. Apparently it should be available for pre ordering in a couple of weeks. Is it confirmed that this book is going to release 25th October? Jeff Miller Yes it wil release on the 25th. (2) I read the first 3 books (Relentless, Refuge and Rogue) a couple of years ago and I really liked them. I don't know why I didn't read Warrior at that time. This book is definitely not a standalone and it was difficult to follow because I didn't remember all the details from the first 3 books. Oh, Nikolas... *sigh* How am I going to live without you, now that this series is over? This was actually my most anticipated read this year, but also the one I was most wary of. I was afraid this book might end up bursting my little Nikolas-infatuated bubble I've built over the past few years. I'm glad to say that didn't happen at all. I'm still ridiculously enamored with him. I mean it. This crush is embarrassing. Warrior retells the entire Relentless series from Nikolas' POV and it was great to get some insight into that mysterious mind of his. While there were lots of exciting new scenes and untold revelations, what I loved most was to experience Nikolas' relationship with Sara from his perspective, which also explained so much about his actions and behavior towards her. I'm also happy to say that there's quite a lot of "Dimples" aka Chris action in this book, just as I hoped it would. Yay for awesome sidekicks! Warrior has been my most anticipated release of the year. I mean I, along with countless other Karen Lynch fans, have been impatiently awaiting this book since Rogue released last October. That's been a whole year of counting down the days, hours, minutes and seconds until we could get our grabby little hands on it. But let me tell you, that wait has been well worth it as Warrior was everything I hoped for, expected and more. Some people may say that Romeo & Juliet is the greatest love story Warrior has been my most anticipated release of the year. I mean I, along with countless other Karen Lynch fans, have been impatiently awaiting this book since Rogue released last October. That's been a whole year of counting down the days, hours, minutes and seconds until we could get our grabby little hands on it. But let me tell you, that wait has been well worth it as Warrior was everything I hoped for, expected and more. Some people may say that Romeo & Juliet is the greatest love story written but (and don't go attacking me here as everyone is entitled to their own opinion) Sara Grey and Nikolas Danshov's story is the greatest love story I've read. I wasn't sure it was possible to fall in love even more with this story after reading it all from Sara's POV in the Relentless series. How wrong was I! Move over every other book boyfriend, real boyfriends and husbands (sorry to my other half) but Nikolas has stolen my heart, my breath and me. If you want to know how jealous I am of Sara on a scale of 1 to 10, well let's just say it's 100. If you have read the Relentless series then you'll know that feeling of wanting to know what Nikolas was thinking and feeling through so many parts of the books. Well in Warrior we finally get to discover what he really thought all those times Sara kept disappearing and finding trouble. Trust me, there were definitely some surprises in store and a few tears in my eyes moments too, but really this book more than lived up to my expectations of what I expected and wanted from Nikolas's POV. I hate putting spoilers in my reviews so sometimes miss out on what I really want to say. However from the blurb of the book you should already know that Sara is Nikolas' mate. But Nikolas has been an undefeated Warrior for 200 years so to suddenly discover his mate, and in someone who doesn't want his protection makes it hard for Nikolas. There were so many times in Relentless, Refuge and Rogue that Nikolas came across as surly and rude, however we finally get to discover the real reason behind why he was acting like this. We also get to see the many mis understandings there were between the two of them. To me Karen Lynch is a genius for having written such a fantastic book, following all that happened in the Relentless trilogy but from another view point. It wasn't boring or a re hash of the other books at all, it was truly something enjoyable and magical to read. Now your next question may be, do I need to have read the Relentless series before reading Warrior? Well, I guess you could just read Warrior first and move onto the Relentless series, but for me the enjoyment is all in falling in love with all the characters in Relentless, Refuge and Rogue and then rediscovering it all again, but with a different perspective from Nikolas. I also think there are certain points and scenes that may be spoilt by reading Warrior first, as a lot of the suspense in Relentless and the following books is wondering what will happen next and watching a beautiful romance develop. All three of the Relentless books are already on my yearly re read list (and not many books actually make it there for me to re read every year) and Warrior has also been added straight to that list. It has been a very long time since a book and a series has captured my imagination and attention as much as this whole series has me. I've loved every minute of reading them and I will carry on reading them for a long time yet to come. 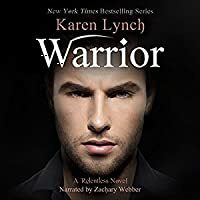 I feel like Warrior really was a treat to the fans from Karen Lynch but I also now feel like the series would not be complete without this book. It definitely gets the full five star rating from me and honestly, I can't see how anyone else would not enjoy this book. This book from Nikolas' perspective completed the experience! I loved reading from his perspective! However, I removed one star just because I started getting annoyed by Nikolas' rages and his overprotective tendencies when it came to Sara. Thankfully, Sara, being the badass chick she is, always told him off. That made me love her more! She stands up for herself and she is incredibly strong! Anywez, on to This book from Nikolas' perspective completed the experience! Karen Lynch did it again!! This book is absolutely fantastic and had a very hard time putting the book down. This book is Nikolas POV for all 3 of the Relentless series from the time Nikolas meets Sara and his struggle with dealing with being bonded to her and her resistance and wanting to maintain independence to the conclusion of fully being mated. This definitely shows a different side of Nikolas. A sweet, tender with a sense of humor. I absolutely love it! OH MY GOSH! This book was worth the wait! I loved each and every moment of it. I am really glad that Karen Lynch decided to publish Nikolas' book and not someone else's because I was not ready to let go of the handsome warrior. Loved this book. DNFing at 25%. Although I really like the main character, his love interest is reckless and stubborn and ridiculous. He, on the other hand, makes a big fuss about it and then forgives her. One trope I cannot abide is when a heroine makes stupid decisions for herself in the name of "saving the world." And anyone around her who's allowing it is equally irritating. I think this would be a great book for someone invested in the series. But since I'm starting with this one, I'm not one of them. Zachar DNFing at 25%. Although I really like the main character, his love interest is reckless and stubborn and ridiculous. He, on the other hand, makes a big fuss about it and then forgives her. One trope I cannot abide is when a heroine makes stupid decisions for herself in the name of "saving the world." And anyone around her who's allowing it is equally irritating. GIVE IT TO ME!!!! PLEASE?! Sweet. But extremely slow paced and single minded. Full review to come in a few days -- but fantastic alt pov book! It was really fun to read from Nikolas' head! "She drove me crazy, challenging me at every turn." Warrior was such an enjoyable read! As someone who has already read the entire original trilogy multiple times, it was still a lot of fun to read it all over again from Nikolas’s point of view. I really do love getting into the heads of the other characters and Warrior was no different! Af Full review to come in a few days -- but fantastic alt pov book! It was really fun to read from Nikolas' head! Warrior was such an enjoyable read! As someone who has already read the entire original trilogy multiple times, it was still a lot of fun to read it all over again from Nikolas’s point of view. I really do love getting into the heads of the other characters and Warrior was no different! After finishing this massive book (it covers most of the events from all 3 books in the series, wrapped up into 1 complete book) I was completely satisfied. I wasn’t left wanting more…ok maybe just a little bit more, but this is still kept pretty PG, all things considered. So, the main reason for giving this book a chance was that its audible version is performed by Zachary Webber -he's to me the actor/narrator with the most sensual and talented male voice my ears have been graced by...so I'm a ZW fan first of all and I'm currently on the project of listening to as much as possible of his performance as a narrator. Please, authors out there don't do it again. It's so overdone! I loved the Zachary's interpretation of the female character Helena. You're GREAT! Hmmm, I'm not exactly sure how to rate this one. It's good but it is the exact telling of book number three - storyline, dialogue and all - just with Nikolas' thoughts thrown in. It really is interesting to get his POV but re-reading a story that took three books to originally write does get a bit monotonous so a lot of skimming was done. Many may enjoy the re-read, however. Personally, I would have preferred it if Nikolas' POV had been woven into the original stories. You will not regret looking at this sight. There is already 8 snake pekes. This series has been an amazing journey! From book one, Relentless when I met Sara and Nikolas I just fell in love with their story. We got to see Sara's side of the story and now we get to see it through Nikolas' eyes. I highly recommend this book and whole series! Karen definitely delivers! Nothing really new, though it was nice to be in Nickolas's head for a change. I enjoyed it! This review has been hidden because it contains spoilers. To view it, click here. When I'm reading, and I stop to read something twice, not because it's written poorly or I don't understand the scene unfolding, but when something is written so well it makes me stop, or when a scene wreaks havoc on my emotions I'll write those scenes in my journal along with the authors name and book title so I can skim over them in months or years to come and relive the moments that truly impacted me in one way or another. Warrior made me stop, a lot. Seeing the world and the bond through Nik When I'm reading, and I stop to read something twice, not because it's written poorly or I don't understand the scene unfolding, but when something is written so well it makes me stop, or when a scene wreaks havoc on my emotions I'll write those scenes in my journal along with the authors name and book title so I can skim over them in months or years to come and relive the moments that truly impacted me in one way or another. Warrior made me stop, a lot. Seeing the world and the bond through Nikolas' eyes was wonderful, intense and so emotionally beautiful that it often reduced me to tears, like now, the book is finished and I'm a blubbering mess at how wonderful an ending it was. I'm looking forward to reading Roland and Chris' stories but I have to confess, nothing is going to pull me out of this book hangover. I'm going to miss Nikolas and Sara so much. If the last week had been hell, then this was heaven. Wrapping my arms more tightly around her, I brushed my lips against her forehead. All I have left to say is thank you, to Karen, for creating such an intense world full of characters I'm never going to forget. Now if you’re sitting there wondering, now why would I want to read or listen to Nikolas’s POV. Since I just read the three other books. Because it’s a must. With combination of Nikolas and the narration by Zachary Webber, it’s perfection. I could listen to Webber narrate the phone book during my commute and I would be good to go. I’m really glad that I listened to Nikolas’s story. I feel that we didn’t really get all of him in the last three books. Because really we were seeing him from Sara’s p Now if you’re sitting there wondering, now why would I want to read or listen to Nikolas’s POV. Since I just read the three other books. Because it’s a must. With combination of Nikolas and the narration by Zachary Webber, it’s perfection. I could listen to Webber narrate the phone book during my commute and I would be good to go. I’m really glad that I listened to Nikolas’s story. I feel that we didn’t really get all of him in the last three books. Because really we were seeing him from Sara’s perspective. There are so many moments, that still made me laugh and tear up hearing it over again. I would think, wow I can’t wait till this happens or this to see what Nikolas was really feeling. Nikolas is really this one of a kind Warrior. The whole time Sara was unsure of how Nikolas felt. But seeing it this way he felt and loved her so much. That there was no reason for Sara to feel so unsure. Overall, I give this Five Boundless Stars. One because it’s a great story and two because Nikolas duh?! Though she loves supernatural Karen Lynch is a New York Times and USA Today bestselling author.